Company Description The Canadian Coast Guard (CCG) owns and operates the federal government’s civilian fleet, and provides key maritime services to Canadians such as: marine search and rescue, marine pollution response, marine communications and traffic management services, icebreaking and ice-management services, aids to navigation, channel maintenance and support of other government departments, boards and agencies by providing ships, aircraft and other services. En tant qu'organisme service spécial de Pêches et Océans Canada (MPO), la GCC aide le MPO à s'acquitter de sa responsabilité d'assurer des voies navigables sécuritaires et accessibles aux Canadiens. Listing 7 jobs posted within 60 days! 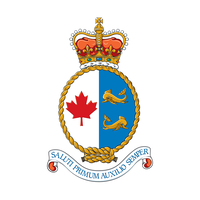 2019-Mar-28	 PERMANENT SHORE JOB WITH GREAT PENSION AND BENEFITS: Become a Marine Search and Rescue (SAR) Coordinator! 2019-Mar-28	 EMPLOI PERMANENT À TERRE AVEC UNE EXCELLENTE PENSION ET BÉNÉFICES: Devenez un coordonnateur de recherche et de sauvetage en mer (RES)!